Susan Boyle held the #1 spot, preventing multi-platinum songstress Rihanna from topping the charts with Loud. The Def Jam Records superstar’s fifth album garnered a #3 debut. The work features Eminem and Young Money’s Drake and Nicki Minaj, selling over 206,000 first-week units. 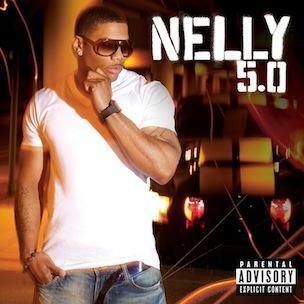 St. Louis Rap veteran Nelly grabbed a Top 10 debut with 5.0. The rapper’s album, taking its name from the 302 cubic-inch, 5.0 liter Ford Mustang engine of the late ’80s and early ’90s, is driven by the success of single, “Just A Dream.” Nelly’s sixth album features T.I., Yo Gotti, Birdman and Plies, among others. The longtime Universal Motown Records star sold over 63,000 first-week units. Kid Cudi fell 17 spots between his first and second weeks with sophomore album, Man On The Man II: The Legend of Mr. Rager. The Cleveland, Ohio Rap sensation did cross the 200,000 mark. His sophomore album features mentor Kanye West as well as Cee Lo Green and former Eastern Conference Records underground emcee Cage. Earlier this week, Cudi appeared on Kanye West’s highly-anticipated My Beautiful Dark Twisted Fantasy. Further down the charts, last year’s Kid Cudi debut, Man On The Moon: The End of Day is on the cusp of garnering a gold plaque for the popular new rapper. Eminem’s Recovery hit the three-million records sold mark, a feat only accomplished by Lil Wayne and Black Eyed Peas in the last three years. The Interscope/Aftermath Entertainment release did fall out of the Top 20 for the first time. Norah Jones’ Featuring album also scored a #27 debut. The guest-work compilation from the Blue Note Records vocalist features appearances by OutKast, Q-Tip and Talib Kweli. Lil Wayne‘s I Am Not A Human Being fell 19 spots to #29. With tracks featuring Young Money Records artists such as Nicki Minaj, Drake and Lil Twist, the veteran New Orleans emcee could go gold in next week’s announcement. Cee Lo Green‘s The Lady Killer held a Top 40 spot in its second week on the charts. With the highly-popular “F*ck You” taking on the Internet, radio and Glee (courtesy of Gwyneth Paltrow), the Atlanta, Georgia emcee/singer is reaching even more audiences. The Goodie Mob emcee-turned-singer has now passed the 65,000 mark with his new venture with the revived Elektra Records imprint. Chicago, Illinois emcee Twista fell out of the Top 100 with his The Perfect Storm. With appearances from Chris Brown and Waka Flocka Flame, the EMI-distributed work called back to several of the higher profile Twista releases from years past. However, after critics did not meet the work warmly, the work fell 71 units since its Top 40 debut on the charts last week. Philadelphia veteran emcee Cassidy suffered greatly, after leaving a major label career built at J Records. In addition to going independent at E1 Entertainment, the former battle emcee broke his association with Swizz Beatz’ Full Surface imprint, to work with basketball star Carmelo Anthony at Krossover Entertainment. With Boi-1 and Bink! producing this new album, C.A.S.H. (Cass A Straight Hustla), the indie emcee enlisted a profiled appearance from Game, as well as Red Café and singer Mya. Will Kanye West score a first-week million sold? Can Nicki Minaj give her friend and collaborator a run for his money? What about Lloyd Banks, will he see a Top 5 comeback? Stay tuned to HipHopDX.